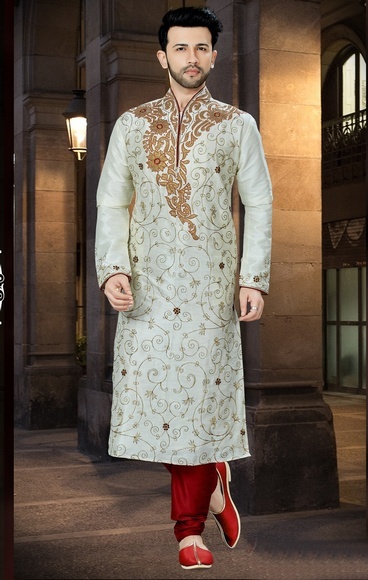 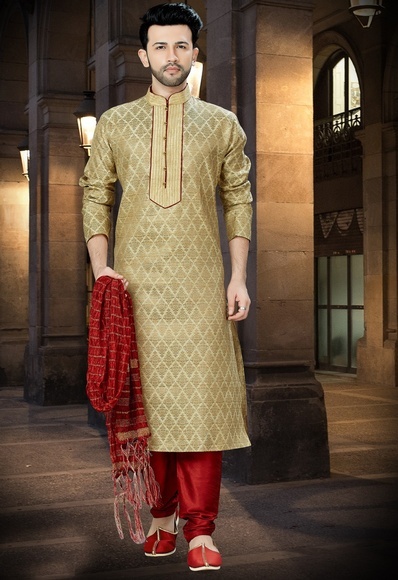 Weddings are the most special occasion of men’s life where they desire to ace up their look. 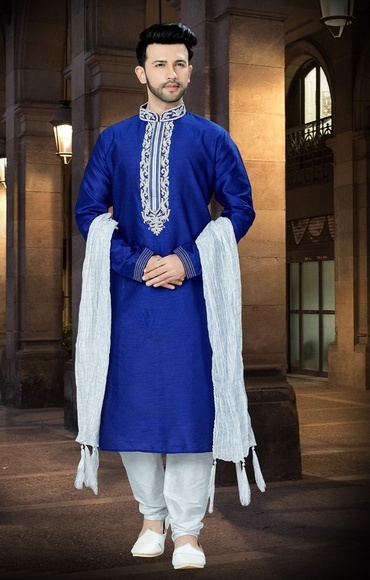 While you wish to go regal and want to outstand your wedding look to perfectly complement your beautiful bride, wedding kurtas are the best outfit you can put on to accomplish your wish with utter elegance. 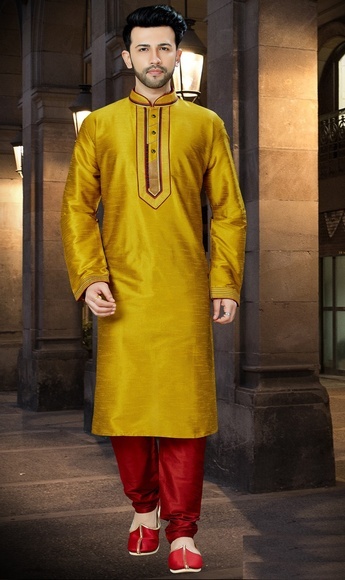 Since time immemorial, Indian grooms are rocking their wedding looks by choosing to wear a designer kurta pajama for their wedding. 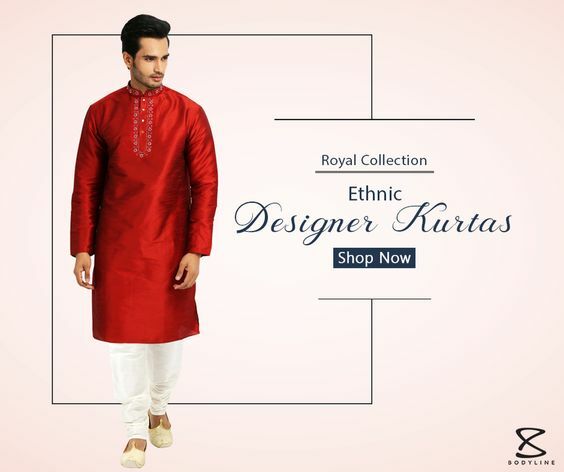 Not only just for weddings, ethnic and designer kurtas have become a top-notch choice for Indian grooms to put over in various wedding functions as well. 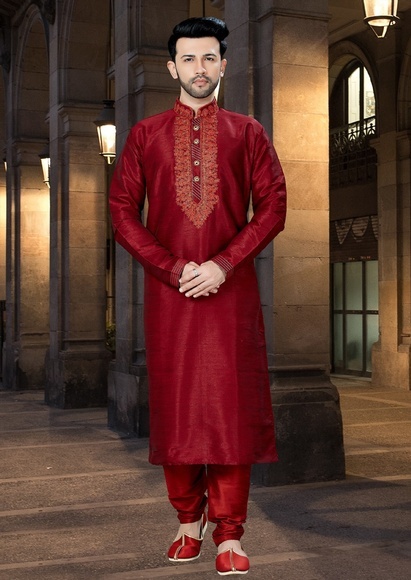 From pre-wedding ceremonies to sangeets and wedding reception, buying wedding kurta online is a key to ensure that you look your best regardless of time or season. 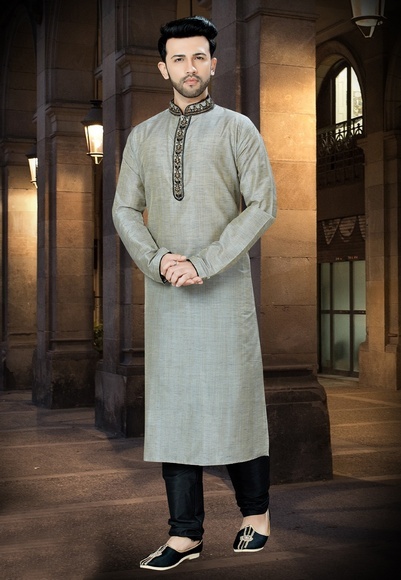 From Bollywood celebs to bloggers to fashion designers – a lot of celebrities have clad in kurtas at their wedding. 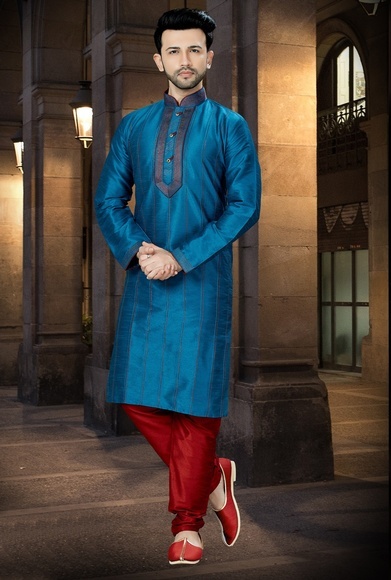 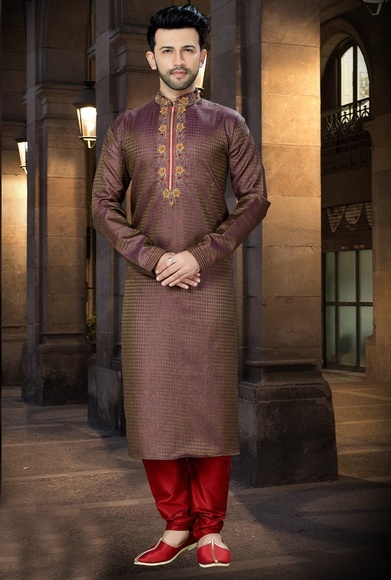 Elegant in every way, wedding kurta pajama can be donned in many ways paired with the right accessories and traditional footwear to bring the best in the outfit. 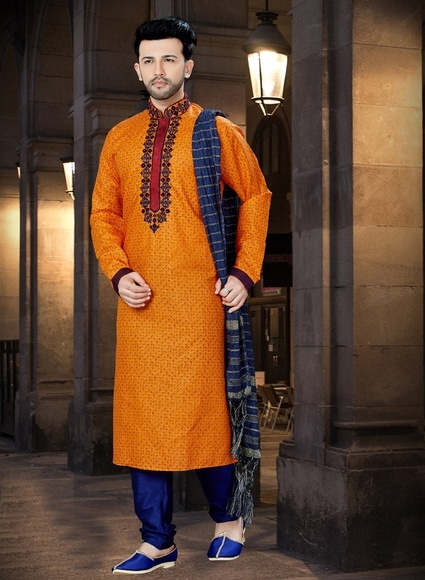 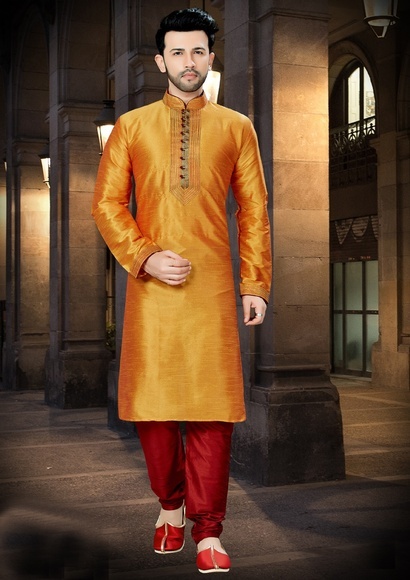 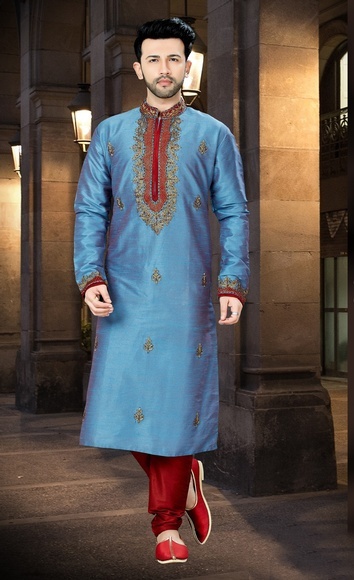 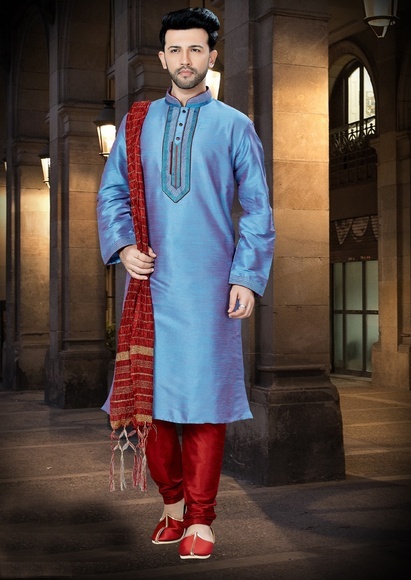 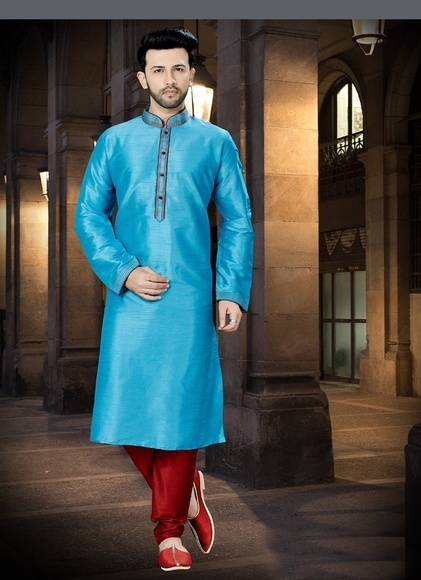 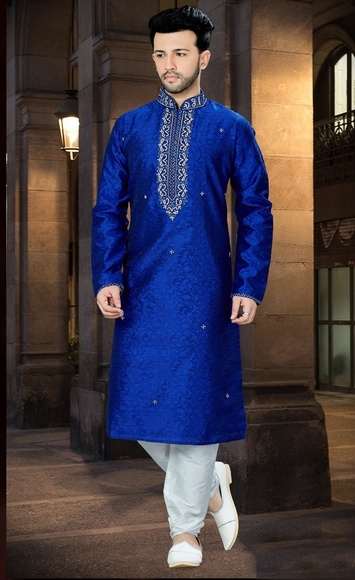 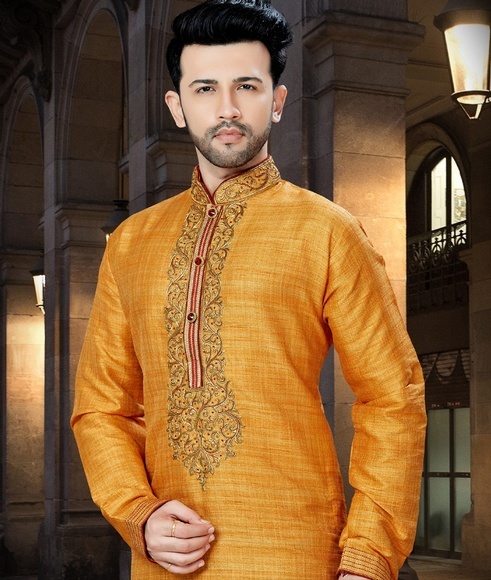 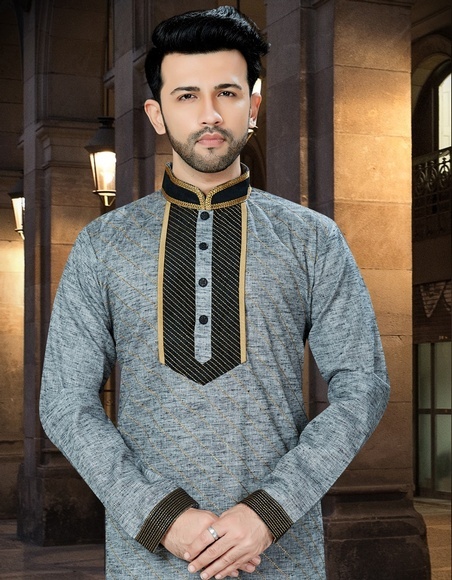 The styling of wedding kurtas for men can be done in many different ways and can be paired with a variety of bottoms, coats, jackets, and jewelry. 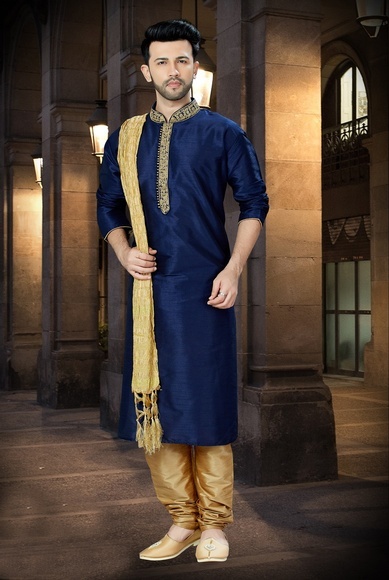 You can choose to pick a classy, trendy, elegant, or bold look – whichever you prefer to pull off on your big day. 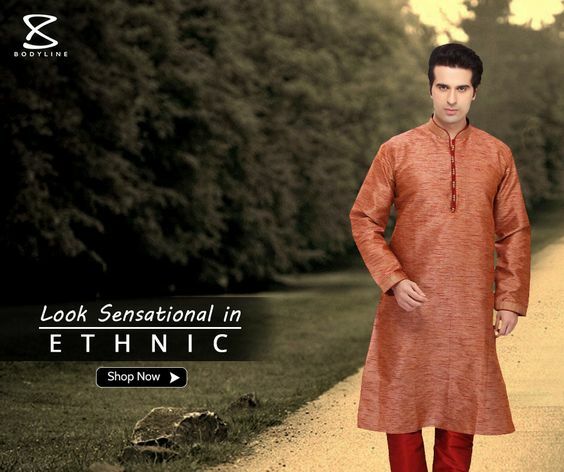 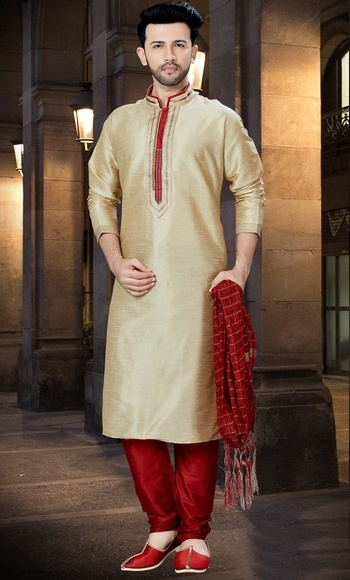 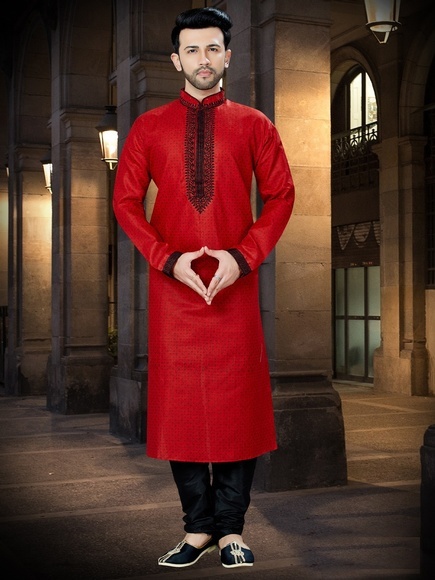 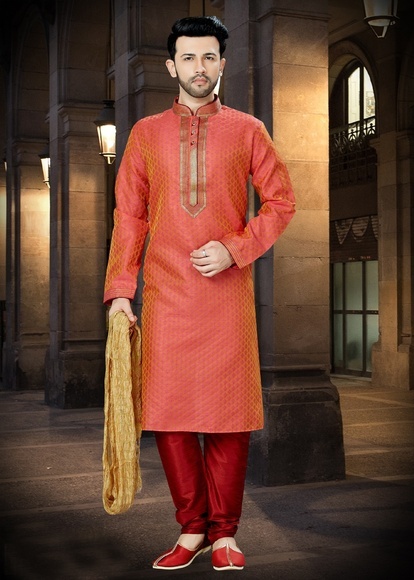 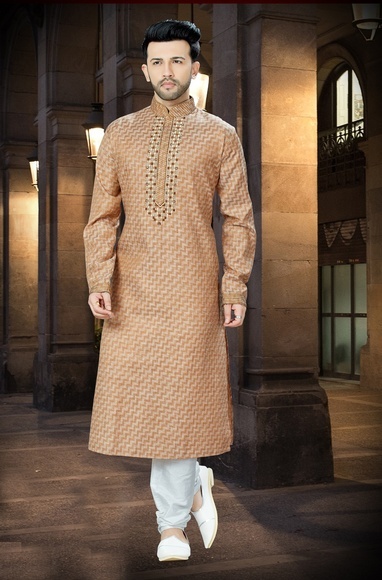 You can flaunt the wedding look you desire to just right with wedding kurtas. 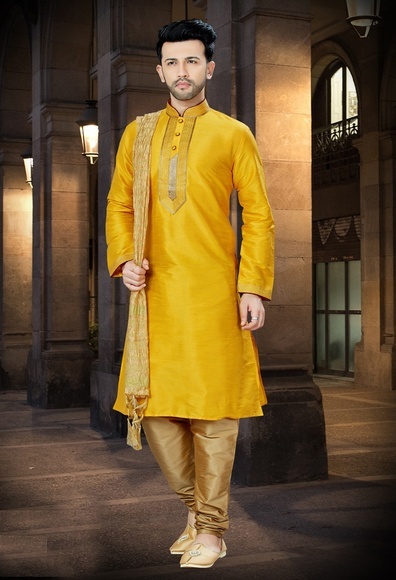 They are a number one choice by most men to dress up for the wedding ceremonies. 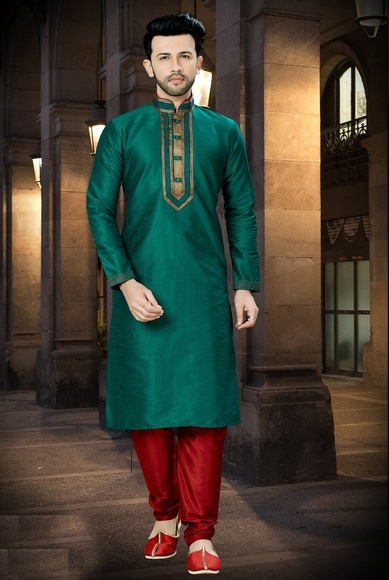 It is elegant and it helps you to be at ease on your special day. 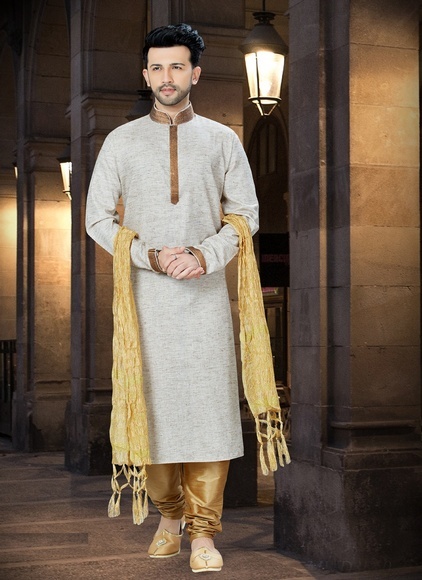 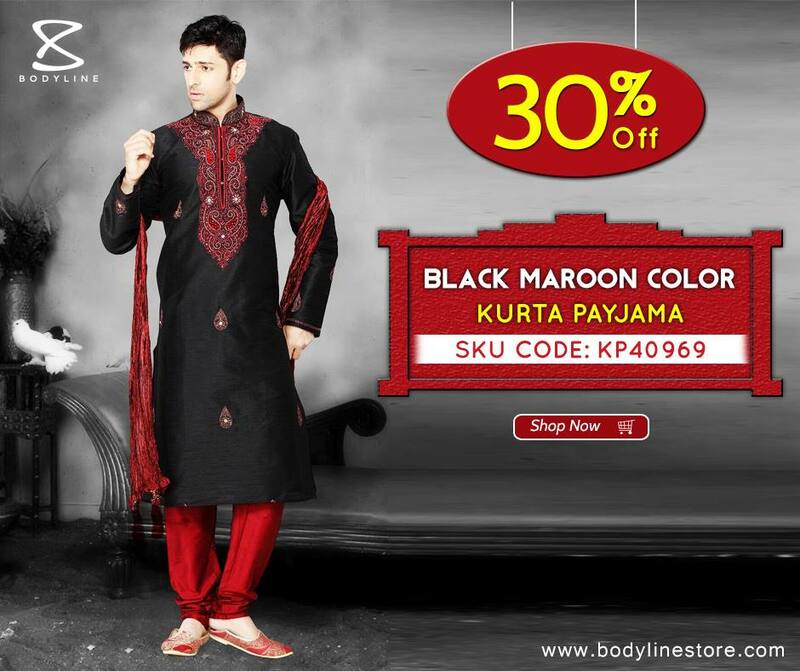 Bodyline has an exquisite collection of online wedding kurtas for men that give a variety of options to choose from in order to get the desired look on your wedding day.